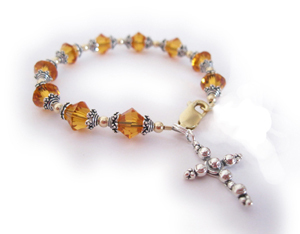 The purpose of the Rosary Bracelet is to help keep in memory certain principal events or mysteries in the history of our salvation, and to thank and praise God for them. A Rosary usually consists of 3 sets of 5 decades each of the Hail Mary, each decade proceeded by the Lord's Prayer and ending with a doxology. 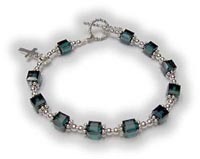 This Rosary Bracelet is a little bit different. 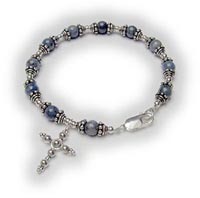 I just have 1 decade (10 Hail Mary's and 1 Our Father) on each Rosary Bracelet with a sterling silver cross between them. You have lots of options when ordering a Rosary. 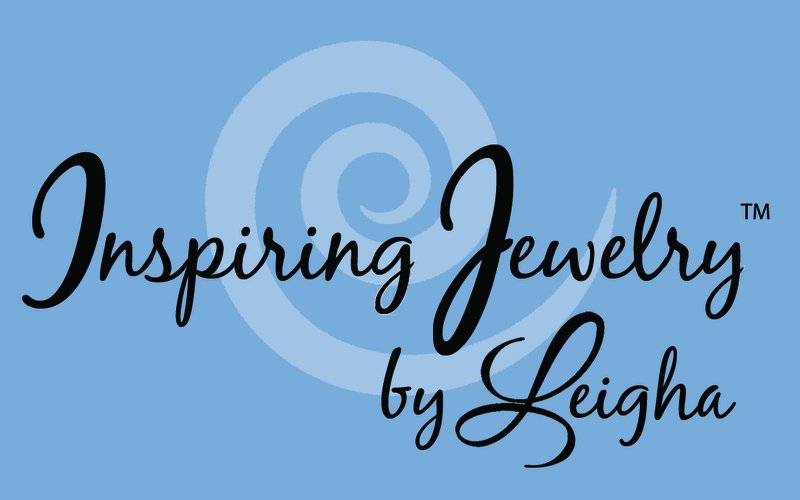 You choose between a toggle or a lobster clasp, the length, the style and on several of the bracelets you get to choose the color. Looking for the perfect Confirmaiton gift or First Communion Gift - we can adjust all the designs to fit young girls.